Hey nail friends! How are you doing? 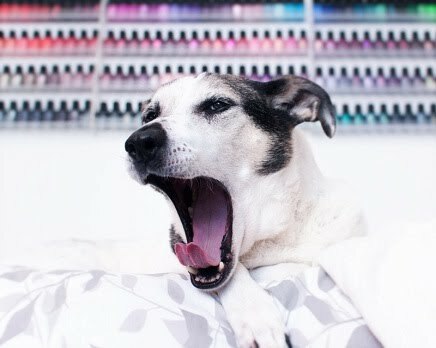 I took a bit of impromptu time away from the blog just because I was finding myself spending way too much time in front of the computer, and was overall less excited about nail polish in general. That's never a nice feeling, so breaks are a must! Sorry about that! 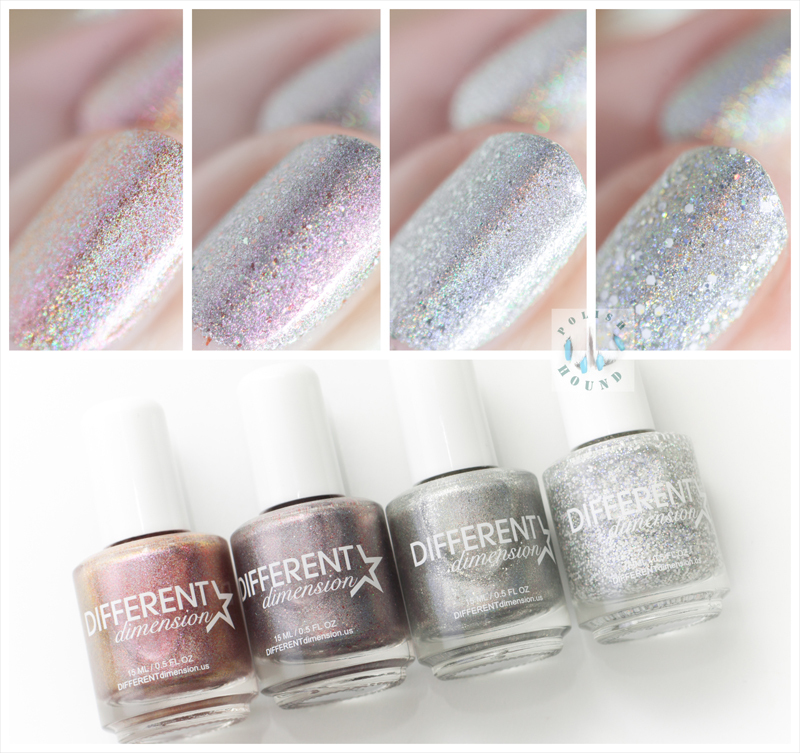 Anyway, today I have four lovely shades to share with you from Different Dimension's 2016 Winter/ Holiday collection called Homespun Holidays. Enjoy! How soft and pretty do these look? Ready to see? Tradition is described as an "apricot holographic with added shimmers." I can get behind that! I have a lot of holos, but none are quite this shade (not to mention the added shimmers). Lovely and unique! Formula: It's nice! It has a pleasantly thick (but not too thick) viscosity, and is just very workable. Opaque in two easy coats! Celebration is a taupe holographic with added shimmers. I'd say there's a good amount of purple/ pink undertone in this taupe, and it's very interesting and chic! Formula: Like Tradition, it's surprisingly pigmented with a wonderful texture. Goes on smoothly, is nearly opaque after the first coat, and overall very easy to use! Opaque in two coats! Rejoice is a silver holographic with added shimmers. Formula: This one seems slightly sheerer than either Tradition or Celebration, but coverage on the first coat is still very nice and non-streaky. The texture is great: easy to work with, distributes well over the nail surface. It built well- opaque enough for me in two coats! Blizzard is a glitter topper with silver holographic glitters, iridescent glitters, as well as white glitters to represent fallen snow. Formula: It's pretty good for a topper! The base carries everything nicely, and I thought the density of the particles was good. One coat allows your base color to show through nicely, but you still get a nice smattering of the various glitters. You could also always sponge this on to make a glitter gradient or just to build density. Overall, I'm enjoying these holos a lot! All are neutral enough to complement any ensemble, but they also have enough sparkle to be nice accents! It may not come across fully in photos, but the additional shimmers really add extra visual interest too. Blizzard, the topper, is pretty nice for some extra bling, and really could represent snow in nail art- if you're into that type of thing. Formulas were great across the board for these four! My personal faves are Celebration and Tradition!